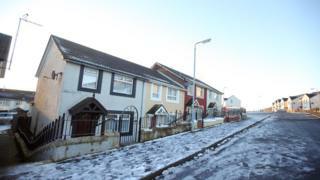 A man has sustained serious stab wounds in an overnight attack in Downpatrick, County Down. It happened at Ardilea Park, off the Killough Road, and police were called to the scene just after 04:00 GMT. Officers found the 22-year-old victim with stab wounds to his side and back. He was taken to hospital by ambulance but his injuries are not thought to be life-threatening. However, police are treating the attack as attempted murder and have arrested a 21-year-old man. He is still being questioned about the attack. Det Sgt Peter Stewart said: "We believe a knife may have been discarded after the assault and would ask the public in the Killough Road area to be vigilant and report any suspicious items they see to police immediately."